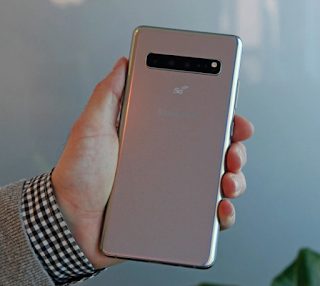 It took a bit longer than expected, but Samsung finally announced the release date for its first 5G phone on Monday. The Galaxy S10 5G, revealed during the Unpacked 2019 event keynote in February, will launch in Samsung’s home market of South Korea on Friday, April 5th in Majestic Black, Royal Gold, and Crown Silver colors. The release goes on to confirm the specifications of the S10 5G, which include a 6.7-inch Quad HD AMOLED display, a quadruple rear camera with dual OIS, a 4,500 mAh battery compatible with Super Fast charging, 8GB of RAM, and up to 512GB of storage, all running on Android 9.0 Pie. Samsung also reminds consumers that 5G is roughly twenty times faster than 4G, which means a full season of a TV show can be downloaded in just minutes.